This new Stanton style is a wonderful addition to the Natural Wonders Collection. Its dimensional design is bold and sharp, while producing a unique look of a solid pattern fused with a linear ribbed accent. 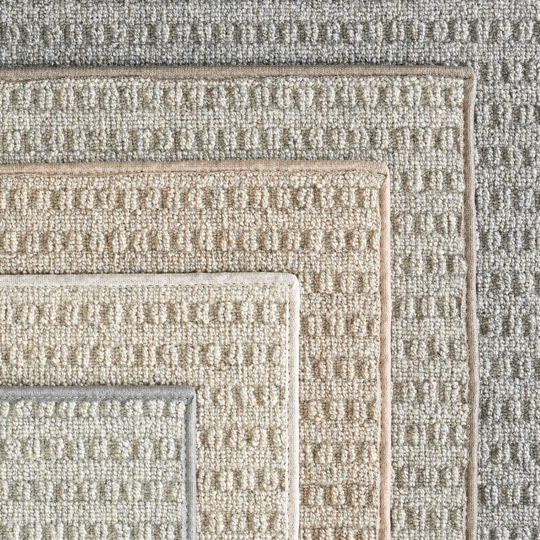 Kodiak presents a textured high, low loop style that features a combination of natural and polysilk in a neutral color palette. With a palette inspired by the naturalness of the Earth, this blended design offers a luxuriously structure pattern that is immensely pleasing in appearance. Kodiak can complement any space and can be ordered as a custom-sized rug or wall-to-wall installation.